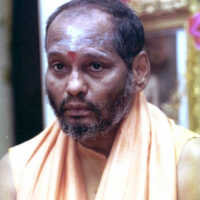 Muktananda was the founder of Siddha Yoga. He was a disciple and the successor of Bhagavan Nityananda. He wrote a number of books on the subjects of Kundalini Shakti, Vedanta, and Kashmir Shaivism, including a spiritual autobiography entitled The Play of Consciousness.According to Lola Williamson, Muktananda was known as a "shaktipat guru because kundalini awakening occurred so readily in his presence".Through Shaktipat Intensives participants were said to receive shaktipat initiation, the awakening of Kundalini Shakti that is said to reside within a person, and to deepen their practice of Siddha Yoga meditation.